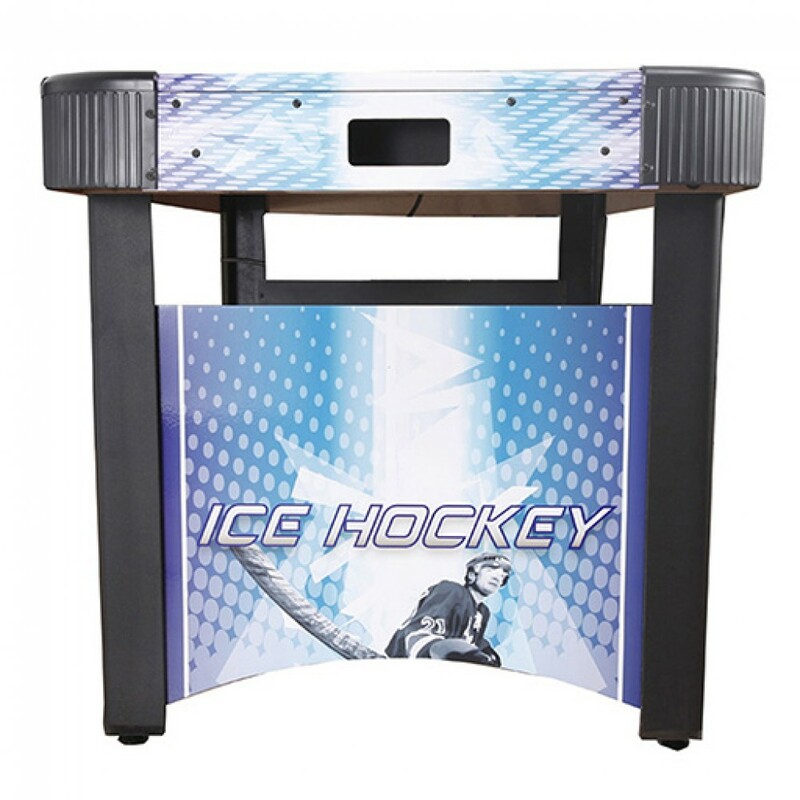 This big, sturdy Hathaway Face-Off Air Hockey table is a blast and includes electronic scoring! 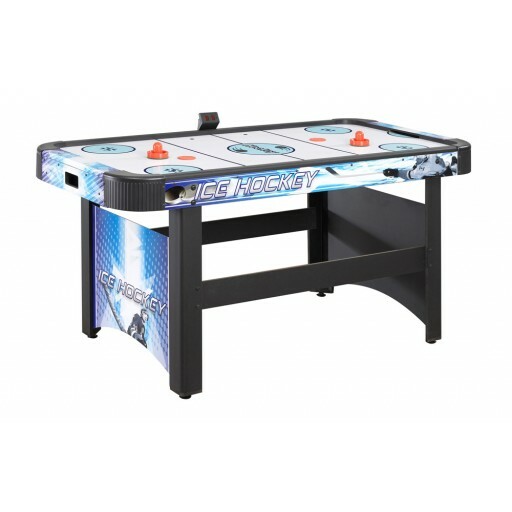 Its solid construction using certified environmentally safe materials allows for rigorous and intense table play without worry. 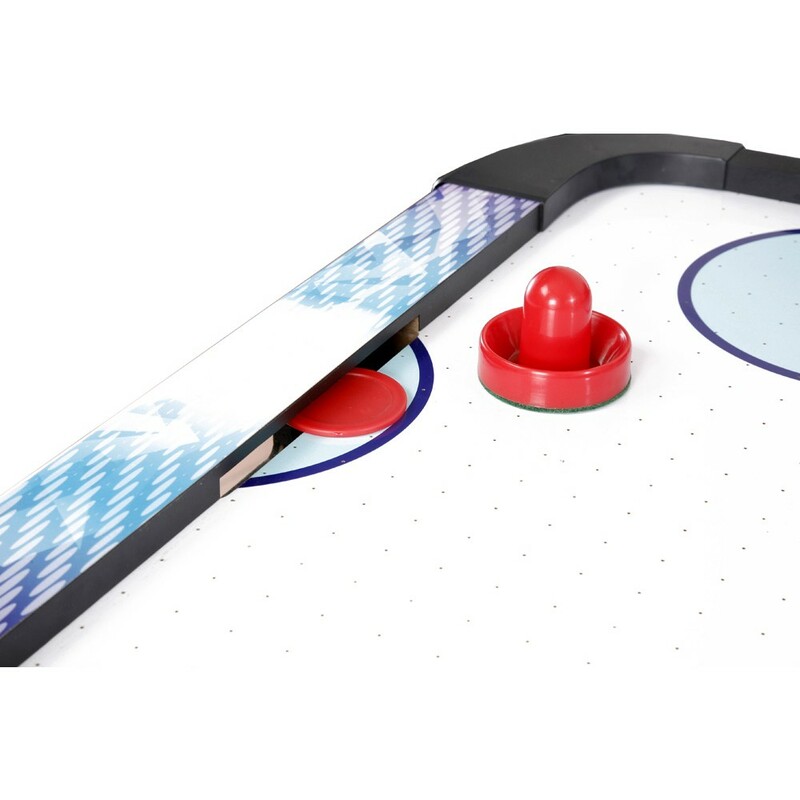 This 5-ft table features a poly-sealed slick playing surface powered by a 110V UL-approved blower fan providing maximum air flow across the entire playing surface. L-shaped reinforced legs with end and side panel supports ensure table stability even during the hardest slap-shots. 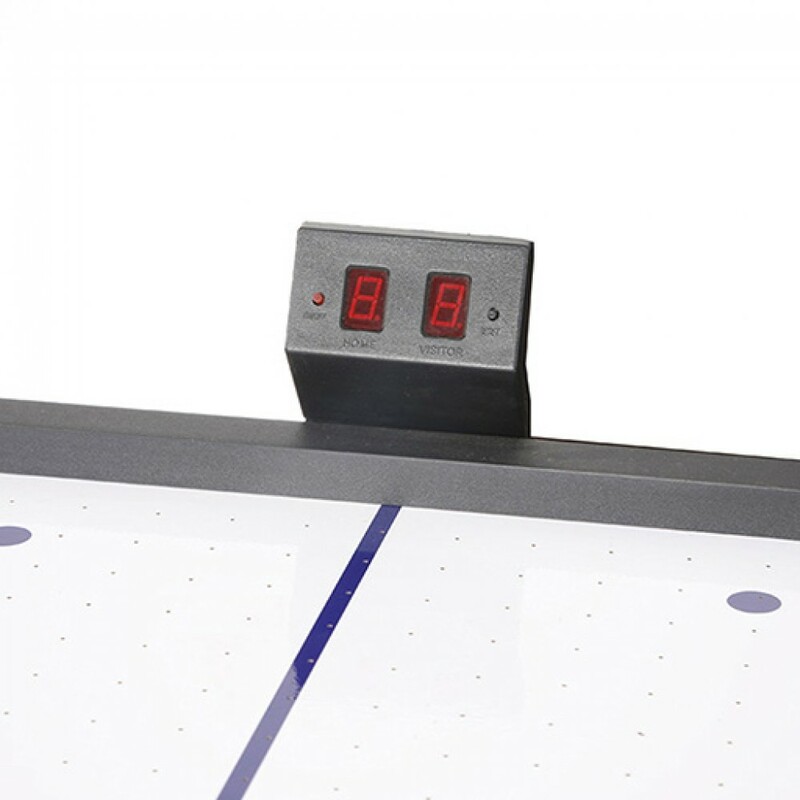 The large independent leg levelers ensure quick easy table leveling on any rec room floor while the electronic scoring system easily keeps track of who's ahead in every match. 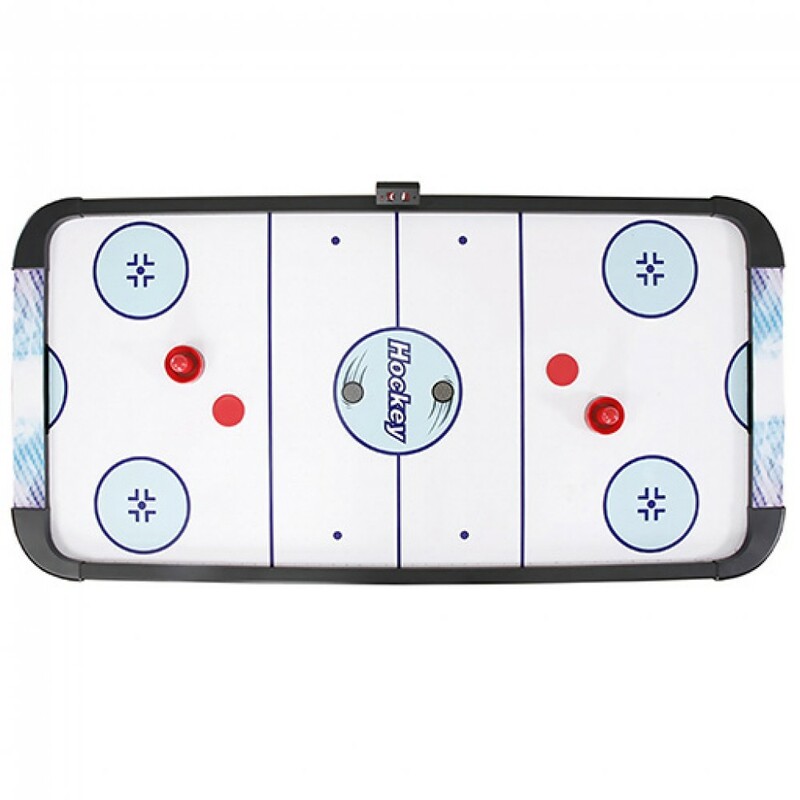 Great hockey graphics and attention to detail make this table a winner. 180-day limited warranty.